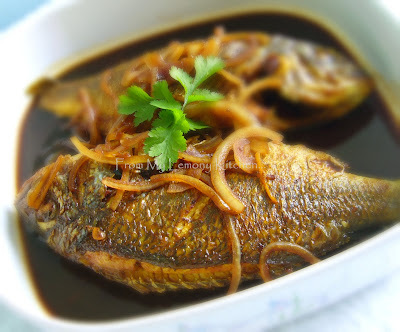 Ur ikan masak ayam kicap looks really sedaplah! Can u please advise the name of the fish u used in the pic? Where can i buy in Perth? Is the fish the fresh or frozen type? I used Bream and I usually beli my fresh seafood produce kat Kailis Brothers in Leederville (next to Leederville train station. Thks heaps for the info, Lisa! Will definitely check out this place bila I ada free time. Btw, im Malaysian Chinese ( from down South - anak Melaka ) - so i dun celebrate Raya! :) But i wish u and ur family in advance "Selamat Hari Raya Aidil Fitri!"